I have been a circulation clerk here at the PSC Library since my freshman year, and I love it. As you can probably guess I love books. I love reading so much that I have a BA in English, and I am working towards a Master’s degree in Library Science. I read EVERYTHING, but my favorite genres are Horror, Science Fiction, Comics, Fantasy, and most other fiction (particularly works from authors in the United States and Latin America). My favorite authors, if I had to pick, are Joyce Carol Oates, Reinaldo Arenas, Ray Bradbury, Rudolfo A. Anya, John Updike, Neil Gaiman, Leigh Bracket, and Stephen King. While I don’t have a particular favorite author in comics I like reading all DC, Archie, Garfield minus Garfield, X-men, A Distant Soil, and the Sandman collection comics. Other than my perfectly healthy obsession with the written word I enjoy Art and frequently paint and work on multimedia projects in my spare time. Then there is my ever growing Netflix account housing Grey Gardens, Xena, 2001 a Space Odyssey, Simpsons, Comic Book Confidential, and the David Lynch collection to name a few. I am not sure what it is about comics, but there is a certain type of magic to them. It could be how they have grown in the United States over the years (comics have long been considered an art form in Japan and France where they are referred to as manga and le neuvième art respectively). Maybe it’s because many lifelong readers started with comics and moved to other works from there. 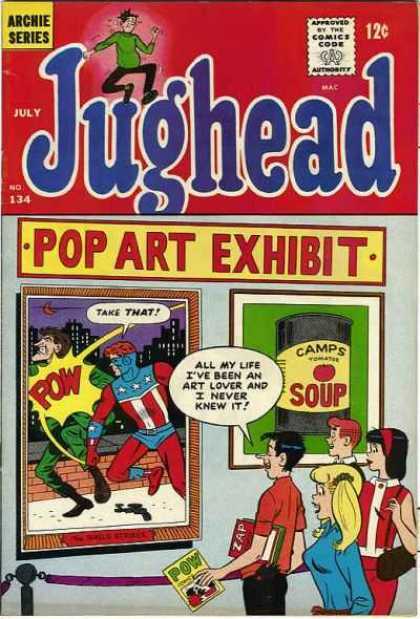 As a matter of fact growing up comics were a big part of my reading lists (I’ve read comics from Archie to the Maxx). I must admit, I was not a big film person growing up. Just like with books I stuck to one genre and one genre only: horror. I was also of the belief that the book is always going to be better than the movie (actually I still cling to my beliefs) so what would be the point in watching the movie? After a few of my friends became determined to change my mind I gave in…slightly. Movies are definitely an art form unto themselves, and when they are done right they cannot be beat. Reading is my first love. As a kid my mother had no problem purchasing primers for me. As I got older I gradually moved up from R.L. Stine, Stephen King, Ray Bradbury, J.R.R. Tolkien, and H.P. Lovecraft. While I enjoyed everything that I read I will admit that I was not an adventures reader. If it had nothing to do with horror, science-fiction, insane alien landscapes, or hobbits I was not interested. That is until I started working in the PSC Library. Part of my job is to put back books that were returned; at first I was indifferent to the books that were not what I normally read. But, I started taking simple glances, which turned to light readings, that ended with me checking out books that I had to keep from reading on the drive home (a dangerous idea by the way). Eventually I became like a foodie in a restaurant and tried everything: the good, exotic, spicy and bland. I have read a good chunk of it all.